I can’t believe we have reached the end of our year long crochet along!! 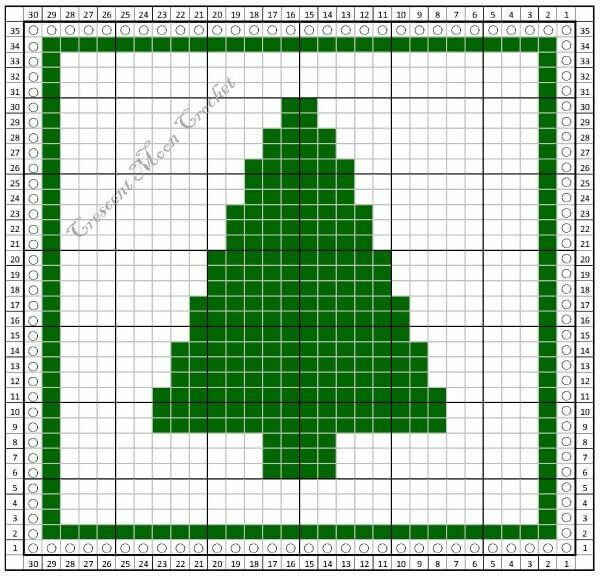 And what a great pattern to end on … this Christmas Tree Dishcloth. I hope you have enjoyed it as much as I have. I want to give a big THANK YOU to Megan for all her wonderful designs and for her generosity in sharing them with us. I am so glad you to have had you here throughout the year!! 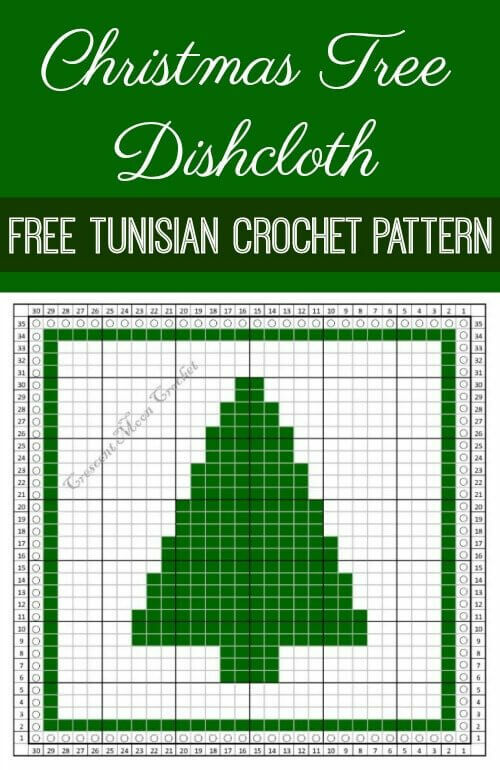 And of course if you missed any of the previous Tunisian crochet dishcloth patterns, you can always find them by clicking here. Take it away, Megan! I can’t believe we are already at the end of another year. December is the time of year where my family gathers and catches up on all of the exciting milestones of the year and to celebrate the holidays. This year has gone by so fast and been very eventful for my family. This last pattern is a simple one that can evoke thoughts of the holidays or the crisp outdoors. I want to thank Kara for the inspiration and hosting the CAL! I sincerely hope you have all enjoyed the CAL.